The Gregorian solar calendar used by the Western world, is based on the cycle of the sun. Technically, the tropical (solar) year is 365 days, 5 hours, 49 minutes and 16 seconds. Therefore, for three years the calendar is 365 days long and on the fourth year an extra day is added at the end of February in order to compensate for the 5 3/4 hours not calculated into the other years. Unlike Western society, Jews, Muslims and the Chinese all follow a lunar calendar. Like the solar calendar, the lunar calendar has 12 months, with each month measured by the waxing and waning of the moon. Because the lunar calendar is only 354 days long and does not correspond to the solar cycle, the lunar calendar will not relate to the seasons unless the extra days on the solar calendar are accounted for. If not, a lunar month might occur in spring one year and in winter the next. The lack of coordination between the lunar months and the seasons would not be such a problem for the Jewish calendar, except that it results in a direct contradiction to a Biblical command: “Observe the month of Aviv (Spring), and keep the Passover for the Lord your God; for in the month of Aviv, the Lord your God brought you out of Egypt by night” (Deuteronomy 16:1). Consequently, the holiday of Passover must be observed in the Spring. To accomplish this, the month of Adar is doubled during a leap year (Adar I and Adar II). Why Adar? Before the Jewish calendar was fixed by mathematical calculation circa 350 C.E., the new month was determined by the Sanhedrin based on the testimony of witnesses who had seen the new moon. The Sanhedrin declared the leap year based on their observations of the season. Adar, the last month before Nisan (the month of Passover), was the deadline for the declaration of a leap year. This Treat was last posted on February 7, 2011. Buy a nice bottle of wine for tonight to celebrate Shabbat and Rosh Chodesh. One who chooses to study the history of the development of the twentieth century rabbinic leadership will likely come across the name “Slabodka.” The town for which the renowned yeshiva of Slabodka was named was adjacent to Kovno (Kaunus, Lithuania), a center of Jewish life and scholarship. The “mother of yeshivas,” as the Slabodka Yeshiva has been called, gained its particular renown under the leadership of Rabbi Nosson Tzvi Finkel, who was known as Der Alter (the Elder) of Slabodka. Born in 1849, Rav Nosson Tzvi was orphaned at a young age and was raised by relatives. He spent his formative years studying at the Kelm Talmud Torah where he was taught by Rabbi Simcha Zissel Ziv (who had been a student of Rabbi Israel Salanter, the founder of the Mussar Movement). After running the Talmud Torah (a primary school) of Kelm, Rav Nosson Tzvi helped start several yeshivot before the Slabodka Yeshiva came into existence. Rav Nosson Tzvi chose the best and the brightest for his institute and gave each of the students his full attention. Rav Nosson Tzvi’s educational philosophy reflected Proverbs 24:6: “educate your child according to his/her way.” He had a unique talent for understanding the individual needs of each of his students and guiding them in the best way for their own personal growth. Rav Nosson Tzvi also emphasized Gadlus Ha’adam, the greatness of man, and the importance of being well dressed and well groomed. There was a strong emphasis on Mussar (character development) in the Slabodka Yeshiva curriculum, which caused other more traditional institutes of Torah learning (such as Brisk) to criticize Slabodka for taking time away from the study of the Talmud. The First World War forced the Slabodka students and teachers to move around to various locations in Russia in order to stay safe. While they were eventually able to return to Slabodka, this set in motion the yeshiva’s great move to Hebron in Palestine. Rav Nosson Tzvi arrived in the Holy Land in 1925. He passed away on the 29th of Shevat, 1927. When you think of ways you might develop your character, write them down to be remembered later. The majority of the territory of what is now the state of Kansas was acquired as part of the Louisiana Purchase in 1803. The Great Plains was the home of seven Native American tribes. The first white settlement, Fort Leavenworth, was established in 1827, but actual settlement was not permitted by the government until 1854.
to Kansas as full members of a larger party of German immigrants who came from Chicago to settle Eudora. Although most of the original Jewish settlers of Eudora moved to Lawrence by 1867, their presence is marked by the B’nai Israel Cemetery, which was listed on the National Registry of Historic Places in February 2013. On January 29, 1861, Kansas became the 34th state of the United States. Kansas appears to have appealed to numerous Jewish groups as the ideal location for the organized agricultural settlement of Eastern European Jews. 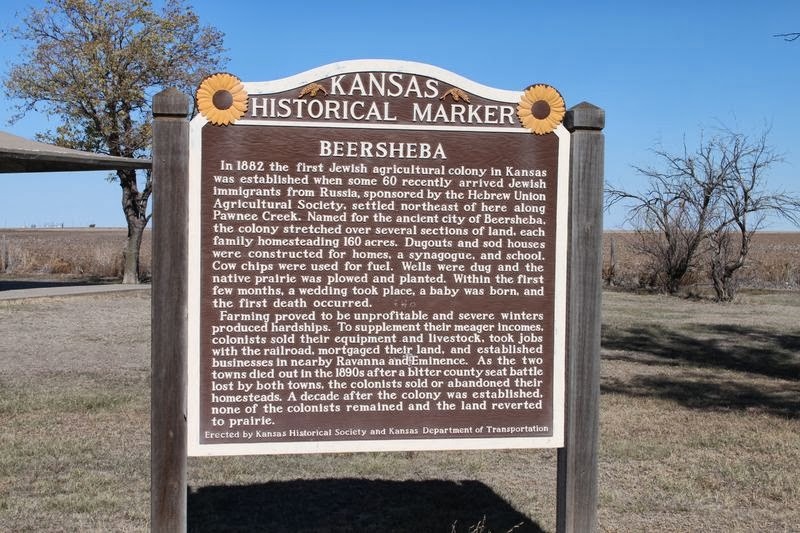 Beersheba, Kansas, was established in 1882 with 24 Russian Jewish families under the auspices of the Hebrew Union Agricultural Society. The residents of Beersheba built their homes, synagogue and school house out of sod, which was not unusual on the prairie. Unfortunately, due to disagreements between the settlers and the Society, the community failed after less than 8 years. The settlements of Montifiore (1884) and Lasker (1885) both failed due to multiple years of drought. Hebron (1884) and Gilead (1886) failed to survive a series of severe winters. Touro (1886) and Leeser (1886) suffered a blizzard in their first year, a tornado in their second and a drought in their third, before both communities disbanded. While all seven Jewish agricultural settlements had folded by 1890, Jews continued to be active contributors to the growing population of the state of Kansas. When a friend is ill, call to see if he or she is feeling better. This time of year, late January, the fat little cupids that line the store aisles are frequently referred to as cherubs. There is, most certainly, a fascinating history as to how a Roman deity (Cupid) came to be called by the name of one type of melachim, angels, mentioned in the Torah. The pure gold k’ruvim were placed at either end of the cover of the Ark of the Testament. The Scripture further describes “and the k’ruvim shall spread out their wings on high, screening the ark-cover with their wings, with their faces one to another, toward the ark-cover shall the faces of the k’ruvim be...and I [God] will speak to you [Moses] from between the two k’ruvim that are on the Ark of the Testimony of all things that I will give you to command the Children of Israel” (Exodus 25:20,22). Did the k’ruvim change their position? If not, were they facing inward or outward? The truth will not be known until the Ark of the Testimony, which has been lost/hidden since the destruction of the First Temple, is once again found. The meaning of the passage, however, demonstrates the belief in God’s love for the people of Israel that He would provide a visible sign of when they had his favor. *The first mention of k’ruvim is in Genesis 3:24, when God placed k’ruvim to guard the Garden of Eden. Fostering positive interactions is one way to draw the Divine Presence closer. Speak of the Holocaust and the first word that many think of is Auschwitz. It was, and is, the most infamous of the concentration camps established by the Nazis. In fact, Auschwitz was not one camp, but rather several. Some sections were labor camps, other parts were specified for (non-Jewish) prisoners of war, and then there was Birkenau (also known as Auschwitz II), which was the Jewish death camp. On January 27, 1945, the Soviet army arrived at the gates of the already notorious death camp. Nothing could have prepared them for the horrible conditions, the malnourished prisoners or the unimaginable horrors they discovered. When the Red Army arrived, there were less about 7,000 prisoners in the camp. Over 50,000 other prisoners had been removed from the camp by the Nazis and sent on the infamous death march. Many died on the road, too weak to march. The liberation of Auschwitz was an incredibly momentous event. 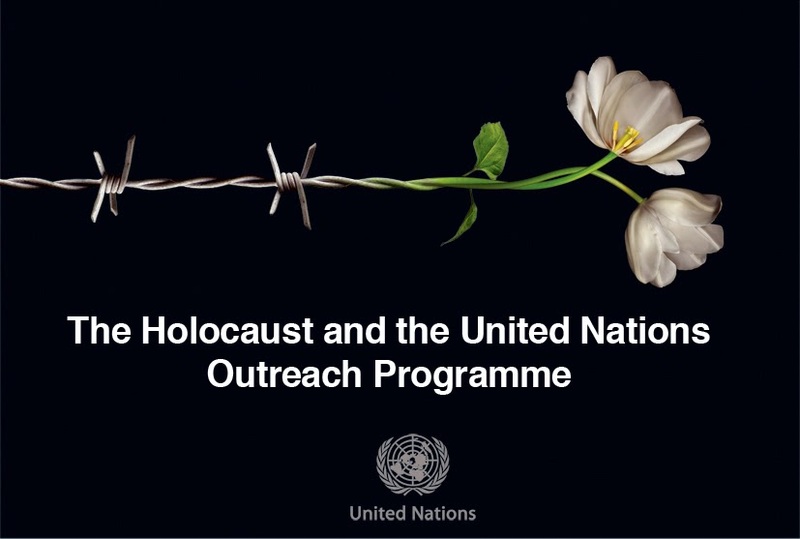 In recognition of that fact, January 27th is now the official date of International Holocaust Remembrance Day,* as sanctioned by the United Nations in November 2005, by General Assembly Resolution 60/7. The resolution, which was initiated by the State of Israel, came after the 60th anniversary of the liberation of Auschwitz, perhaps as a recognition that in a decade or so, the aging survivor community would no longer be able to share their experiences. Resolution 60/7 honored the memory of the Holocaust’s victims, rejected Holocaust denial, called for the preservation of the historical sites that verify the atrocities and pushed for educational programming. *It should be noted that since 1953, Jews have observed a special Holocaust memorial day on 27 Nisan, Yom Hashoah. Many traditional Jews mourn those who perished in the Holocaust on Tisha B’Av, the ninth of Av. As time moves forward, keep the memories of the victims of the Holocaust alive. This passage is the basis for Rabbi Shlomo Halevy Alkabetz’s (Israel, c.1500 - 1580) Lecha Dodi, Come My Beloved. 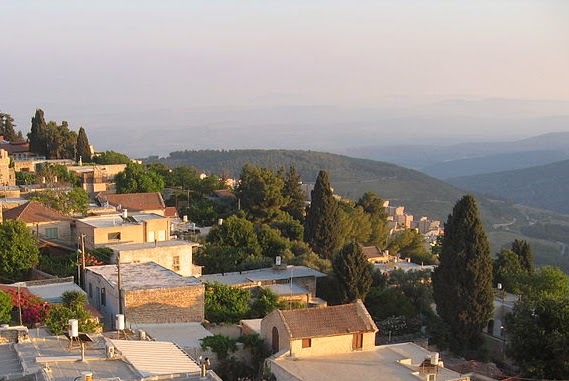 This popular liturgical hymn captured the spirit of the Kabbalists in Safed, who would go out into the fields on Friday afternoon to greet Shabbat. Depicting Shabbat as bride to the Jewish people is a beautiful way of describing the people’s relationship to the Seventh Day. Just as a groom goes to great lengths to make his bride feel special, so too, Jews constantly seek to enhance and beautify the celebration of Shabbat. This Treat was last posted on February 27, 2009. Be aware of what time Shabbat starts and greet Shabbat with joy. Click here for Shabbat candle lighting times. 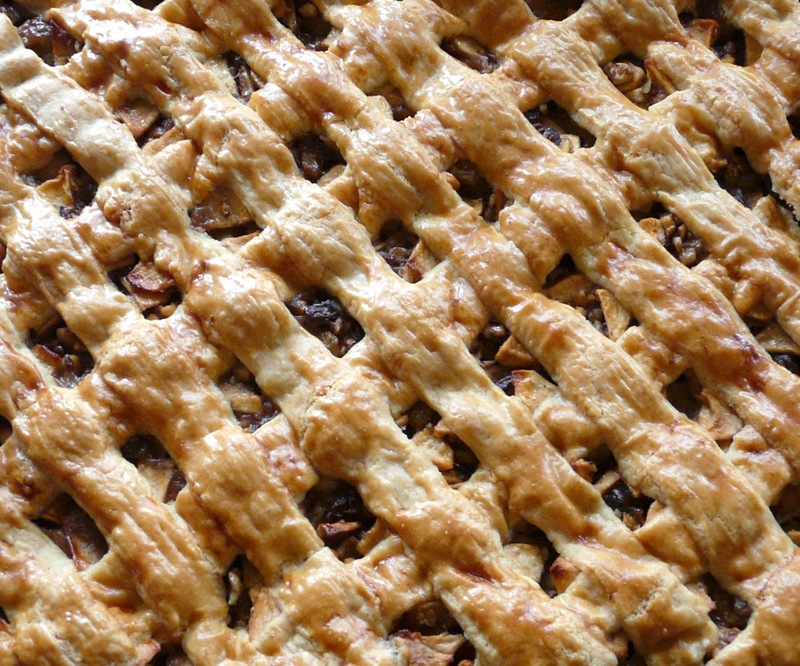 Today is National Pie Day, and if you base fact upon popular idioms, then America’s favorite food would be apple pie. It may be true, or it may just be a reflection of the fact that apples are probably the most common fruit in America (and perhaps the world). The apple has an essential connection to Torah and the Jewish people, but not in the way one might immediately expect. While translations of Genesis often present the forbidden fruit eaten by Eve and then Adam as an apple, the Talmud lists a wide variety of possible fruits that might have grown on the Tree of Knowledge of Good and Bad. None of them was an apple. The Midrash even compares God to an apple tree: “‘As an apple-tree among the trees of the wood, so is my beloved among the sons’ (Song of Songs 2:3). Why is God compared to an apple-tree? To teach you that just as the apple, though unattractive to the eye, yet possesses good taste and flavor, so is the Holy One, blessed be He... He appeared to the gentiles, yet they would not accept the Torah, which was in their eyes a thing of no value....Israel said: ‘We know the power of the Torah, therefore we will not budge from God and His Torah,’ as it says (Song of Songs 2:3): ‘Under its shadow I delighted to sit, and its fruit was sweet to my taste’” (Exodus Rabbah 17:2). In the Talmud (Shabbat 88a-b), Rabbi Chama ben Rabbi Chanina asked “Why were the Israelites compared to an apple tree? To teach, just as the fruit of the apple precedes its leaves, so did the Israelites give precedence to “we will do” over “we will hear” at the time of the giving of the Torah. Think about the many benefits of your food before eating (and don't forget to say a blessing). This principle, that a person is responsible for damages caused by one’s negligence, is a fundamental aspect of modern civil law. “The principal categories of damage are four: the ox, the pit, the damages to a field by humans or animals and the fire. ... The feature common to them all is that they are in the habit of doing damage; and that they have to be kept under rigorous control, so that whenever any one [of them] does damage, the offender is liable to indemnify with the best of his estate” (Baba Kama 2a). To those raised in a society based on civil law, today’s Jewish Treat may simply be read as an excellent reminder to always be aware of how one’s actions affect others. If you are a home owner, make certain to clear debris or fill in any ditches. Among the Australian Jewish community, Sir Isaac Isaacs (1855-1948) was a man who was often far more admired than he was liked. In his retirement, after a long and illustrious political career, Sir Isaac frequently wrote articles for the Jewish press and spoke at Jewish venues. However, his strong opinions in opposition to Zionism isolated him from the majority of Australian Jews. In Sir Isaac's opinion, Judaism was a religion and was not related to nationality or peoplehood. In the context of his career, his opinion is not surprising. The first born son of a Polish-born Jewish tailor, Isaacs was born in Melbourne but grew up in the mining region of Victoria. Sir Isaac's political career began in 1892, when he was elected to the Victorian Legislative Assembly. He served in numerous political offices, participated in the Australian Constitutional Convention, was elected to the first federal Parliament, was appointed Attorney-General, and, in 1906, joined the High Court of Australia. He remained on the bench for 25 years and was awarded a wide variety of honors (including knighthood). On January 21, 1931, Sir Isaac was appointed to the position of Governor-General of Australia. This was historically significant, as it was against the desire of King George V, who felt that the Governor-General (who is the official Crown representative in the commonwealths of the United Kingdom) should be appointed from the British nobility, rather than an Australian native. Sir Isaac retired from office in 1936. Sir Isaac spent his career defining himself and his nationhood as Australian (as opposed to being a British subject). Throughout his career he remained proud of his Judaism and did not permit anti-Semitism to hold him back, but he could not identify with the Zionist call for a state of its own. A few months before the founding of the State of Israel, on February 11, 1948, at age 92, Sir Isaac passed away in his sleep. He received both a state and a synagogue funeral ceremony. Make an effort to be conscientious and hold the door for the person behind you. These were the words of the Reverend Dr. Martin Luther King spoken on the night of December 5, 1965, when he accepted the “Judaism and World Peace Award” from the Synagogue Council of America. The award, which was established in 1960, had previously been presented to, among others, President Dwight D. Eisenhower and President John F. Kennedy. Created in 1926, the Synagogue Council of America was an umbrella organization that encompassed the Central Conference of American Rabbis, the Rabbinical Assembly, the Rabbinical Council, the Union of American Hebrew Congregations, United Synagogue of America, and the Union of Orthodox Jewish Congregations. While the member organizations originally tried to find consensus on religious problems, by the 1960s the Synagogue Council had become a political face for the North American Jewish community and was involved with sponsoring several national conventions focused on social welfare and inter-religious issues. The Council itself ceased operating in 1994. Honor those who are not afraid to speak out for justice. Great leaders are often those who are able to accept criticism. It seems to be, the higher one’s position of leadership, the fewer suggestions people are willing to make. Imagine how intimidating it would be to tell Moses, a man who conversed directly with God, that with a little streamlining, he could improve his leadership of the Israelites. In what is one of the most unique narratives in the Bible, Jethro (Yitro in Hebrew) did just that. Upon seeing Moses spend the entire day answering halachic (Jewish legal) inquiries and judging disputes between one person and the next, Moses' father-in-law said to him: “The thing that you do is not good. You will surely wear away, both you, and this people that is with you; for the thing is too heavy for you; you are not able to perform it yourself alone. Listen to me, I will give you counsel, and God be with you...” (18:17-19). Jethro then advised Moses to create a hierarchy by appointing one judge over every hundred men who could, if necessary, appeal to a higher court (a judge over a thousand). Only the most difficult disputes would be brought to Moses for adjudication. It should, of course, be noted that Jethro was Moses’ father-in-law, who had taken Moses into his home when Moses was wandering in the desert, long before Moses began communicating with God. And perhaps it was easier for Jethro to critique Moses because he had only heard about, but did not personally witness, the events in Egypt and the crossing of the sea, so he was less “starstruck.” Nevertheless, this interaction between Jethro and Moses demonstrates both how to give criticism (with consideration given to the best interests of the other person) and how to receive it (Moses implemented those changes). Keep an open mind to criticism. In honor of the New Year of Trees (Tu B'Shevat), Jewish Treats presents some thoughts on trees and nature as found in the Bible. 1) In the second chapter of Genesis, humankind is instructed to not only "work" the land, but to carefully "guard" it. "And God put the human being in the Garden of Eden to cultivate it and to protect it"(Genesis 2:15). 2) The Bible sets as a foremost priority caring for the land by properly seeding and planting it. "When you will come into the land, and you will plant any tree for food..." (Leviticus 19:23). Planting trees is regarded as the first step in building an ecologically sound environment. 3) The Bible insists that newly planted trees must be properly protected so they may thrive--"For three years [the fruit] shall be restricted to you, it shall not be eaten" (Leviticus 19:23). In Hebrew, this mitzvah is known as orlah. To find more information on Tu B'Shevat and an outline of a Tu B'Shevat Seder, click here. This Treat was last posted on January 20, 2011. Celebrate Tu B'Shvat by helping to plant trees in Israel through the Jewish National Fund. While it has been a difficult winter for many of us, it may be time to look beyond the turbulent weather and see that spring is just around the corner. You might wonder how one can possibly think of spring at the present time, but, according to Jewish wisdom, now is precisely the time because Tu B'Shevat is the New Year for trees. Tu B'Shevat, literally, the 15th day of the Hebrew month of Shevat, marks the official start of spring in Israel, even though the weather is still cold. According to Jewish tradition, this is the day on which the long dormant sap in the trees begins to flow again. Why is Tu B'Shevat celebrated as a holiday and elevated to the status of being one of the four New Years on the Jewish calendar? In Judaism, a holiday usually marks a day on which there is a unique connection between the spiritual and physical worlds and signals an event from which we can learn and grow. Because of Tu B'Shevat, Jews around the world are given a moment to stop and think about the trees and the greenery around them. Spiritually, there is much that one can learn from a tree. For instance, almost every person goes through a “spiritual winter,” a time in which it is hard to connect to God or to follow religious beliefs. According to tradition, deep within each Jew there is a pintele yid (Yiddish for a "little bit of Jewish spirit"). Like the frozen sap that is thawed by the coming of spring and brings new life to the tree, the pintele yid can be ignited by a spark of inspiration and revitalize the Jewish soul. This Treat was previously posted on January 25, 2013. This Thursday, Jews around the world celebrate Tu B'Shevat, the new year of the trees. Tu B'Shevat is often celebrated with the 7 species for which the Torah praises the land of Israel: “A land of wheat and barley, of vines, figs and pomegranates, a land of olive oil and honey (from dates)” (Deuteronomy 8:8). Barley (seh’o’rah): At Passover time, the Omer offering (a measure of barley from the new harvest) was brought to the Temple, symbolic of the start of the spring harvest. Grape (gefen - literally grape-vines): The transformation of grapes into wine reflects humankind’s ability to choose to uplift itself or debase itself depending upon how they use the grape. Fig (t’aynah): “... All the figs on one tree do not ripen at once, rather a few each day. Therefore, the longer one searches in the tree, the more figs one finds. So too with Torah: The more one studies, the more knowledge and wisdom one finds" (Eruvin 54a). Pomegranate (rimon): According to the Midrash, the pomegranate has 613 seeds equivalent to the number of commandments in the Torah. Olive (zayit): “...Just as the leaves of an olive tree do not fall off either in summer or winter, so too, the Jewish people shall not be cast off--neither in this world, or in the World to Come” (Menachot 53b). Date (tamar): While the Torah uses the word d’vash, honey, it is understood as referring to date-honey because the date is frequently boiled to make a type of honey. “The righteous shall flourish like a date-palm tree” (Psalms 92:13), for those who act holy are sweet in God’s eyes. Include some of the "Seven Species of the Lands of Israel" in your meal tonight or tomorrow. How can a verse such as “I am the Lord your God” be included in the Ten Commandments if it does not contain an action. Guard Shabbat, Honor your parents, Don’t steal...these are commandments that one can readily understand (even better when reading them on a regular basis). What is it, exactly, that the verse is commanding? Jewish tradition understands that the words “I am” (Anochi) imply the command “to know.” One is meant to know, in his/her heart and mind, that there is God and that God is the omnipresent Creator of all things in the universe. It is interesting to note that, according to the Sefer Hachinuch, “I am the Lord your God” is one of only six commandments that can, and should, be performed at all times and in all places. “I am the Lord your God” is at once one of the easiest and one of the most difficult commandments to fulfill. What makes it difficult is that humankind naturally prefers to credit itself for the good (and bad) found in the world. At its most basic, this mitzvah is fulfilled by simply believing in God. The more desirable way to fulfill this mitzvah, however, is to try and see God’s hand in one’s life all day, every day. Make a conscious effort to see God in the world around you. Journal the ways in which you see God in the world for one week. In the era of social media, it is an almost everyday occurrence to be asked to sign a petition or to “like” a cause. When Emile Zola, the celebrated French novelist, published J’Accuse on January 13, 1898, he could only hope that his essay would gain popularity and stir a response from the masses. He had no idea of the impact it would have on his own life. J’Accuse was Zola’s reaction to the Dreyfus Affair. Zola was not only certain that the 1895 conviction of Captain Alfred Dreyfus on charges of espionage was a deliberate miscarriage of justice, but that it was primarily motivated by anti-Semitism. Here then, Mr. President, are the facts which explain how a miscarriage of justice could be made; and the moral evidence, the financial circumstances of Dreyfus, the absence of reason, his continual cry of innocence, completes its demonstration as a victim of the extraordinary imaginations of commander [Armand] du Paty de Clam, of the clerical medium in which it was found, of the hunting for the "dirty Jews," which dishonors our time. J’Accuse split public opinion. Dreyfus was given a second court-martial in 1899, but was once again found guilty (on forged evidence). However, shortly thereafter he was pardoned by the President of France. As J’Accuse was addressed to the President of France, it did not surprise Zola that he was then charged with libel. Sentenced to a year in jail and a 3,000 Franc fine, Zola fled to England. He returned to France when a new government was formed in June 1899. Zola died of carbon monoxide poisoning four years later, two years before Dreyfus was fully exonerated. Stand up for someone or something you believe in. Music speaks to the heart, and, not surprisingly, the heart often speaks through music. Thus, when the Israelites crossed the Sea of Reeds (aka the Red Sea) and witnessed the destruction of the pursuing Egyptian army, they burst into spontaneous song (led by Moses). Az Yashir Moshe U’v’nei Yisrael... Then sang Moses and the Children of Israel...(Exodus 15:1). The song, which is recorded in Exodus 15:1-19, is known as the Shirah (the song). The Shabbat on which this Shirah is chanted in the synagogue (Parashat B'shalach) is known as Shabbat Shirah. The lyrics of the Shirah constitute exalted praises of God, Who saves the Jewish people. Recounting the miraculous event, the Shirah calls out: “For the horses of Pharaoh went into the sea with his chariots and his horsemen, and God brought back the waters of the sea upon them; but the Children of Israel walked on dry land in the midst of the sea.” (15:19). Why is a special name given to this Shabbat? Because the Shirah inspires us to remember the heights that our people can reach. Those who have read Bible cannot help but notice that such spontaneous praise and gratitude from the Israelites was rare. The Israelites spent much time complaining. They wanted meat (Exodus 16), worshiped the golden calf (Exodus 32), sinned with the Moabite women (Numbers 25), etc. But when the Israelites reached the far side of the Sea of Reeds, their faith in God and in their own significance was at an all time high. There was no restraint in their praise of God. This Treat was last posted on January 29, 2010. If the winter is starting to affect your spirits, try singing praises to God for the beauty of the world and the incredible intricacies of the four seasons. Chaim Nachman Bialik (born January 9, 1873) was an Israeli national icon who came to be recognized as one of Israel’s greatest national poets. Born in the Russian town of Radi, he was raised by his grandfather in Zhitomir. At 17, Bialik went to study at the yeshiva in Volozhin. At the same time, Bialik began writing his first poems and found himself drawn to the Yiddish/nationalist community. He soon left the yeshiva and traveled to Odessa, home to many of the prominent Jewish writers of the day. In 1893, Bialik returned to Zhitomir and married Manya Averbuch. He spent the next seven years as a businessman and then a teacher before returning to Odessa in 1900. Throughout his ventures, Bialik continued to write and gain the notice of the literary community. In 1901, his first collection of poetry was published, and in 1904, he became an editor of Hashiloah, a Hebrew periodical founded by Ahad Ha’am (Asher Ginsberg, poet and Zionist ideologue: 1856-1927). One of Bialik’s most important pieces, “City of Slaughter,” was written after he was commissioned by the Jewish Historical Society to report on the Kishinev Pogroms. “City of Slaughter” not only reflected the horror of the pogrom, but also took to task the pitiful self-defense of the Jews. The poem had a profound impact upon the burgeoning Zionist movement. Over the next two decades, Bialik continued to write and publish. He established the Hebrew publishing house Moriah and translated numerous works of literature into Yiddish, while continuing his own writing in both Yiddish and Hebrew. In 1921, Bialik moved to Berlin, where he founded the Dvir publishing house, a business that he brought with him when he moved to Tel Aviv in 1924. Bialik died on July 4, 1934, in Vienna, Austria, after a failed surgery. He was buried in Tel Aviv. Call a relative or friend with whom you haven’t spoken in a while just to say "Hello." “Sticks and stones may break my bones, but words will never harm me.” We all know that the words of this common childhood rhyme are hardly true. Words can be far more hurtful than physical assault. “They who suffer insults but do not inflict them, who hear themselves reviled and do not answer back, who perform [religious precepts] from love and rejoice in chastisement, of such the Scripture says (Judges 5:31), ‘And they that love Him are like the sun when he goes forth in his might’” (Gittin 36b). *A reference to Titus (Roman conquorer of Jerusalem, later Emperor of Rome), “ This was the wicked Titus who blasphemed and insulted Heaven. What did he do? He took a harlot by the hand and entered the Holy of Holies and spread out a scroll of the Law and committed a sin on it...” (Gittin 56b). If someone insults you, assume it was unintentional and let it go. The official language of Israel is Hebrew, but until the end of the 19th century almost no one spoke Hebrew colloquially. Lashon Hakodesh, the holy tongue, was used only for prayer and study. Modern Hebrew usage is credited to the efforts of Eliezer Ben-Yehuda (originally Eliezer Yitzhak Perlman, born January 7, 1858), about whom the historian Cecil Roth noted: “Before Ben-Yehuda... Jews could speak Hebrew; after him they did.” Born in Luzhki, Russia, Ben-Yehuda abandoned his traditional background for more secular studies when he was a young adult. He also became an ardent Zionist. Ben-Yehuda and his wife Devora arrived in Jerusalem in 1881. Even before he left Paris (where he had studied at the Sorbonne), Ben-Yehuda tried to use Hebrew to communicate with other Jews and many were able to respond to him because of their knowledge of Biblical Hebrew. Ben-Yehuda taught Hebrew in schools, lectured, and printed Hebrew newspapers. His cause was not always popular. The majority “ultra-Orthodox” population of Jerusalem was highly opposed to the use of lashon hakodesh (the holy tongue) for everyday life. The Committee of the Hebrew Language (later the Academy of the Hebrew Language) was created by Ben-Yehuda as another means of furthering the development of Hebrew. The Committee helped coin new words, worked through idiomatic difficulties and helped Ben-Yehuda create his 17 volume dictionary. Only 6 volumes were published before Ben-Yehuda died of tuberculosis in December 1922. His wife Hemda and son, Ehud, completed the remaining volumes. This Treat was originally published on November 25, 2009, on twebrewschool.org, a project of Jewish Treats. If you know Hebrew, try conversing in it once a week. If you do not know Hebrew, and would like to learn, please click here to find out about NJOP’s Hebrew Reading Crash Courses. On January 6, 1912, New Mexico became the 47th state of the United States of America. The majority of the state’s territory was acquired by the United States from Mexico in the late 1840s. The first recorded Jewish settler in New Mexico was Solomon Jacob Spiegelberg, a young Prussian immigrant who arrived in Sante Fe in 1846. Eventually, Spiegelberg was joined by five of his brothers. The Spiegelberg Brothers partnership became a successful mercantile empire, and they soon expanded into banking, mining, insurance, construction, etc. As each brother took his place in the business, he made a return journey to Germany in order to find himself a Jewish wife. The Spiegelbergs set the pattern for further German-Jewish settlers in the territory. The first official Jewish service was held on Yom Kippur 1860, when the Jewish population of New Mexico was approximately 32. By 1880, however, the Jewish population was over 200, and it continued to grow with an influx of Russian and Eastern European Jews who were then coming to America. By the turn of the century, congregations had been established in Albuquerque (Congregation Albert) and Las Vegas* (Congregation Montefiore). By the time statehood was approved in 1912, the Jews of New Mexico were an accepted part of the population and several Jews had already held municipal positions. The history of the New Mexico territory can not be told without mentioning the region’s Spanish roots. The Spanish began settling the area that is New Mexico today in the 16th century, and it remained in Spanish control until the establishment of Mexico in 1821. During this time, it is believed that many Crypto-Jews, who lived as Catholics but preserved their Jewish faith in secret for generations, settled in the area. In the last few decades, more and more descendants of Crytpo-Jews have come forward to claim their lost heritage. Visit any historic synagogues in your city to get a better feel of the history of your local Jewish community. Among the many festivals assigned to the final days of December and the first days of January, one of the newest and, perhaps, the most logical, is the anonymous designation of January 3rd as the “Festival of Sleep.” Coming after two weeks of days off, holiday parties, long lines and altered schedules, most people could use some extra sleep. It is obvious that sleep is a necessity for one’s body, as it is the time during which one physically recharges. And yet, the Talmud refers to sleep as being one-sixtieth* of death (Brachot 57b). The Jewish concept of death is that it is the ultimate separation of the soul from the body. When the body ceases to function, the soul continues on to the next world. During sleep, the ability to control one’s body is lessened and part of the soul has the ability to enter, for a short time, the spiritual realm. This is one of the reasons for the morning prayer Modeh Ani (I thank You for restoring my soul) that is recited immediately upon waking. It is interesting to note that Shabbat is referred to as being like one-sixtieth* of the world to come (Brachot 57b). Shabbat is known as Yom Menucha, the day of rest. For many, Shabbat is an opportunity to catch up on the sleep missed during the busy work week. Without question, sleep - a Shabbat nap - is considered part of oneg Shabbat, the pleasures of Shabbat. Yet, as much as rest and relaxation are part of oneg Shabbat, rabbis throughout the ages have urged people not to forget that “God blessed the seventh day and made it holy,” meaning that while one is encouraged to rest and rejuvenate on Shabbat, one should also spend time studying Torah, praying or simply connecting to the holiness of the day. *Talmudic language for a minimal amount. This Shabbat, find time to rest, relax and study the weekly Torah reading. The festivities of New Year’s celebration are now over. Those who made resolutions for the New Year are, perhaps, wondering just how they will fulfill them. For those who have made the ever-popular resolution of eating healthier in the year to come, Jewish Treats offers some fascinating Talmudic tidbits on eating habits. While some of these may seem obvious and others obscure, it is interesting to note that the sages of the Talmud felt these points to be important enough to record. Don’t Talk with Your Mouth Full: “One should not talk while eating, lest the windpipe [receive the food] before the gullet and endanger one's life” (Taanit 5b). Eat Slowly: Of the three things that Rab Judah noted as prolonging a person’s days (life), one is “the drawing out of a meal” (Berachot 54b). Eat Your Vegetables: Rabbi Huna said: No scholar should dwell in a town where vegetables are unobtainable” (Eiruvin 55b). Eat Breakfast: One of the seven pieces of advice that Rabbi Akiva gave to his son Rabbi Joshua was “Arise early and eat: in summer on account of the sun [i.e., heat] and in winter on account of the cold” (Pesachim 112a). Don’t Eat Rich Foods: “Do not eat geese and fowls lest your heart pursue you” (Peaschim 114a). While this verse could be understood as a warning against gluttony, one could also understand it as a warning that rich foods can effect the heart. Don’t Be A Glutton: “It has been inferred that if a person consumes such a quantity (the approximate volume of 43 eggs) of food [in a day] he is sound in body and happy in mind. He who consumes a greater quantity is a glutton, and he who consumes less suffers from bad digestion” (Eiruvin 83b). Don't forget that keeping kosher is a spiritually healthy diet. While Theodor Herzl is generally credited as the father of modern Zionism, he was not the first to call for the modern, political rebirth of a Jewish nation. Only in 1895 did Herzl come to realize that Jews would never be accepted in western society. Years before Herzl, on January 1, 1882, Auto-Emancipation, by Leon Pinsker (1821-1891)* was published. Recognizing that anti-Semitism was never going to go away and that the Jewish people were never going to be accepted into the societies in which they lived, Pinsker wrote Auto-Emancipation as a call to Jewish leaders to discuss the issue and work toward the solution of statehood. and was one of the first Jews to attend Odessa University. Although he set out to become a lawyer, he changed his career choice to physician after realizing the quotas on Jewish professionals would inhibit him from working as a lawyer. Based on his experiences, he believed that if Jews were to act more like their fellow countrymen, they would be better accepted. Auto-Emancipation was Pinsker’s reaction to the horrific pogroms that occurred in 1871 and 1881. These violent outbursts affected all Jews, including assimilationists and traditionalists. He now believed that the nations of the world suffered from a psychological condition he named Judeophobia, the irrational hatred of Jews, and that the only cure was to create a Jewish homeland. The publication of Auto-Emancipation led to the creation of the early Zionist organization Hovevei Zion (Lovers of Zion). Many of the members of Hovevei Zion were among the settlers who came as part of the First Aliyah (1882–1903) to Israel. Leon Pinsker died in Russia in 1891. In 1934, his body was brought to Israel, and he was reburied in Nicanor’s Cave on Mount Scopus, which is part of Hebrew University. In the new calendar year, increase your involvement with your local Jewish community.